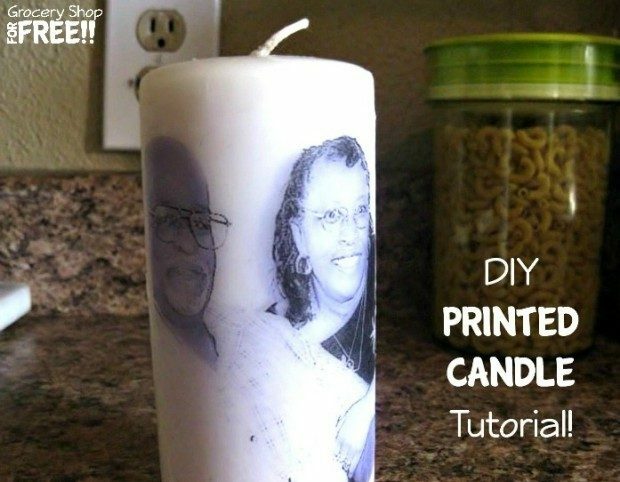 You are here: Home / DIY / DIY Printed Candles Tutorial! It is time for us to make something again! Today I made a really quick candle craft that is perfect for any holiday, occasion, or gift! We have so many acorns in the yard that I decided to make an acorn cap wreath! I just LOVE how it turned out! If you try making this wreath at home, send me pictures! I’d love to see your Acorn Wreath! Your children will love to help gather the acorns! It’s a great way to take in the fresh, autumn air & enjoy the finished product throughout the season!